WISE ON THE MIDDLE EAST ~ Each week Robert L. Wise, PhD explores the Middle Eastern situation, ranging from Egypt through Jordan, Syria, Lebanon, Israel and the surrounding area. Wise first traveled to Israel and the neighboring countries in 1968. Two of his sons taught in Jordan and Lebanon universities. Wise presents an objective view of the behind the scenes situation in these countries. What about President Trump’s recent announced recognition of the Golan Heights belonging to Israel? Under international law Israel’s seizure and holding of the land is considered illegal. The Geneva Conventions consider settlements in such an area to be unlawful. So, what’s going on? Politics. Israel’s election is tomorrow and Prime Minister Netanyahu needed an extra push at the polls. Trump gave him a significant push. This viewpoint is held by the Jewish residents of the Golan Heights. The March 31 edition of the Los Angles Times calls their perspective on the recognition “tepid.” The inhabitants of the Golan fear Trump’s public recognition will upset the apple-cart in what has been an extended period of peace in their history. Even though Syria and Israel have been mutually hostile, the Golan community has been left alone. They worry that while Netanyahu got a boost, they could end up getting the boot. However, that’s only one part of the story. Israelis firmly reject any hint of giving this area back because of their need for security. 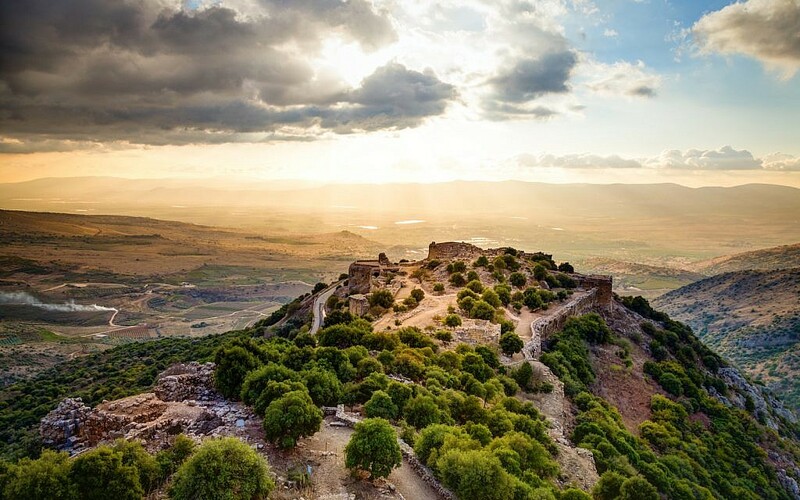 In the beginning, Syrians sat on these heights and shot farmers until Israel cleaned them out. Give it back? They point to America acquiring California, New Mexico, and Texas. Would America give this land back to Mexico? Americans ready to give back land to the Indians? Absolutely not! This past history reminds us that Israel is often squeezed to maintain a double standard in which the rest of the world wouldn’t participate. The analogy makes the point. A recent International Jerusalem Post editorial reminds us that Israel tried to negotiate some form of settlement over this area with Syria, but those attempts went nowhere. Since then Syria has slid into chaos and President Assad is an international pariah. No future there. What did America lose through President Trump’s proclamation? Significantly, other Arab states will be more reluctant to negotiate with America. Moreover, the announcement is a gift to Assad, giving him a rallying point to gain more support for his beleaguered nation. This result is part of the reason that Israeli residents are hesitant to be enthused about the move. Nevertheless, the recognition is applauded by most Israelis.